After their debut album Racey Roller in 2010 and Let’s Do It Again in 2013, now the band are back with their third album, Speaks Evil, first release on visionary label Burning Heart. 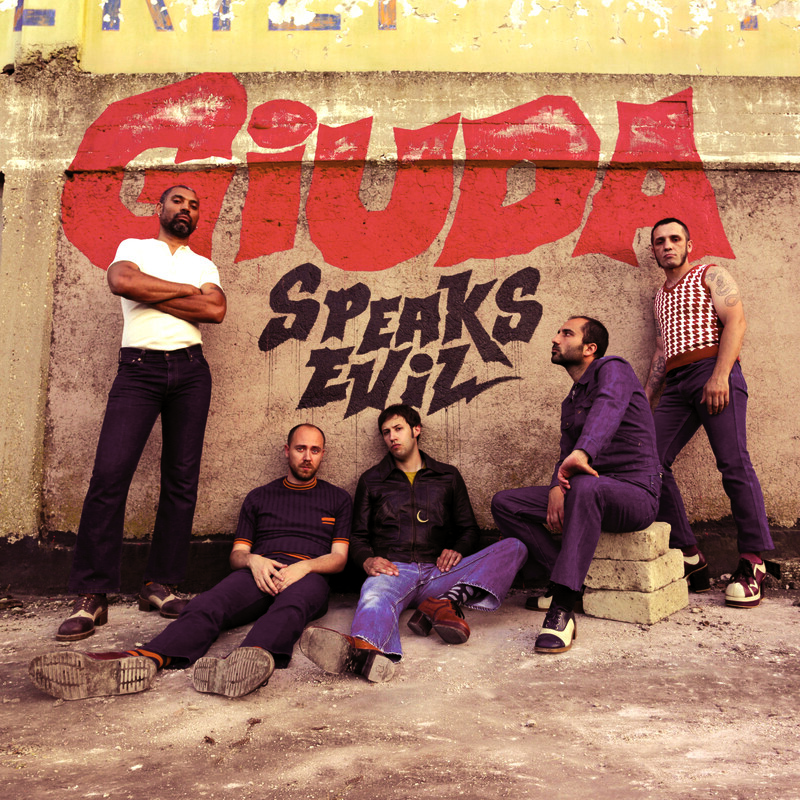 Their mix of anthemic ‘70s glam hooks and the punchy delivery of early UK punk has grown up into something that is just rock’n’roll, straight and sharp as Giuda can be. First bite of the new album is “Roll The Balls”, single advancing the album release expected on NOVEMBER 20th, 2015, a stunning quintessential piece of straight rock’n’roll with hints of Brit glam rock, a tantalizing taste of Giuda at their best.